WOW. 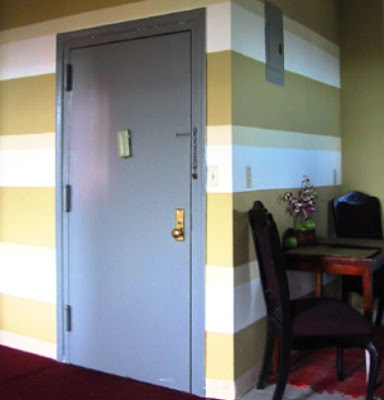 I've always loved striped walls and love how she used shades of the same color, in varying thicknesses. 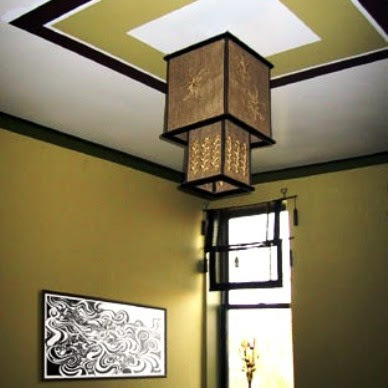 And that ceiling! My neck would be hurting after a project like that. Kudos.